Yeah, I want cutscenes in the style of Smooth Moves and G&W again. Good animation, well-composed music, simple but effective storylines, and the whackiness we're used to, less mundanity, more zaniness, and please, keep the flow. The previous cutscenes had such great flow. The new ones have as much flow as a river of cement in the sahara desert. But hey, the new cutscenes aren't all bad. They have one good thing about them: They make me appreciate the old ones even more! I just rewatched the cutscenes in Game & Wario and oh my gosh, they are so different. I'm guessing it would be super difficult to pull of the voice acting and the super cool animation? These 2 types of cutscenes are designed with completely different goals in mind. One doesn't need dialog, the other HINGES on having dialog, so they're of course gonna end up completely different. I guess they COULD compromise and try to do both. In that case we'd basically have a cartoon. The music would have to take a step back, so that the dialog can be heard (WWG often has no music at all). Actually... now that I'm watching them again... the disco and camping cutscenes actually do feature music prominently, and they are immediately more appealing as a result. They don't sound so... stiff and awkward. Why didn't the rest have more music? There's the rap battle, of course, and sometimes there are a few ditties, but so many times it's just awkwardly silent. So... as long as there's music, the characters don't stand around all the time, and they properly animate the characters (more than 2 frames per animation) then it could work pretty well. New, improved cutscenes, and vast multiplayer options. 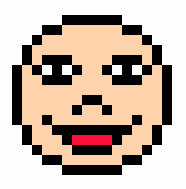 Honestly, just give me more Mario Paint's baby face cameos. Besides, we never had that game. Only Japan did. Going for the fact that gold released recently they may not make a new warioware game for a couple more years. So i'd like a Smooth moves port. The joycons are perfect for the game as they can replace the wiimote. They have motion controls, rumble, a camera (I guess?) And it would probably take less time. Also I haven't played Smooth moves cause I never owned a wii . So if they make it cleaner and better they could totally port it. New 9-volt microgames based on other Nintendo games from other Nintendo systems and consoles and Nintendo Switch games like Super Mario Odyssey, BOTW and also another Rhythm Heaven microgame. Also how about a Mario & Luigi microgame and a Super Smash Bros. any series microgame because that would be awesome! Also I want to see new minigames and new and more souvenirs and also a sound test room like on Smooth Moves and Mega Party Game$. And the Record Room and no voice acting on the cutscenes and Smooth Moves styled cutscenes. Also I would like the classic WarioWare art style back because I prefer the classic art style. And the classic microgame genres on stages that fit for the characters like on WarioWare Inc. Mega Microgame$ and prehaps new genres. And a score of 25 to clear the final Wario story stage like on Inc and Gold. And a new vocal song on a stage. We’ve hardly seen any games besides 1 2 Switch take advantage of the (left?) Joycon’s motion detector, and I think some cool stuff could be done with that. Like, say one of the forms is called “The Toothbrush,” where you hold the Joycon next to and parallel to your mouth (like a toothbrush), and one of the microgames that uses that form has you open and shut your mouth while twisting the Joycon in order to eat a chicken leg.